Palm has announced their fiscal results for Q3 2010, and in short, it’s not pretty. Revenue was reported at a $349.9 million, though these are GAAP-adjusted numbers (GAAP accounting defers revenue over the expected service life of the device: 2 years). From a non-GAAP perspective, Palm brought in $366 million in the most recent quarter. Profit-wise, Palm netted a gross profit of $47 million (non-GAAP: $63.5 million). Accounting profits aside, Palm still managed to spend more than they brought in, burning through an additional $22 million this past quarter. Non-GAAP losses: $102.8 million, compared to $45.5 million the previous quarter. Palm ended Q3 FY 2010 with $591.9 million in cash, cash equivalents, and short-term assets. The previous quarter Palm brought in $78.1 million (non-GAAP: $302 million) with a gross profit of $5.5 million ($77.3 million). After other expenses, Palm still managed to burn through $85 million cash during the prior quarter. At the very least, Palm has managed to slow the drain rate from their coffers, but as with any company they can only burn cash for so long. For Q3 FY2010, Palm shipped 960,000 devices, and increase of 23% over the previous quarter, with sell-through numbers of 408,000. In short, selling fewer than half as many units as you ship is not a good position to be in. Also, selling fewer devices the quarter you launch your newest devices onto the biggest network yet is also not a good thing. No breakdown by device or carrier was provided, as is customary for Palm’s quarterly reports. During Q2, Palm shipped 783,000, with sales of 573,000 units. The full Q3 FY2010 report is after the break. 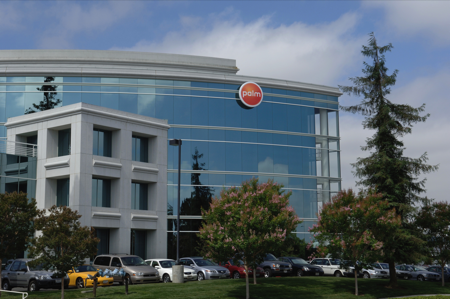 SUNNYVALE, Calif., Mar 18, 2010 (BUSINESS WIRE) -- Palm, Inc. (NASDAQ:PALM) today reported that total revenues on a GAAP(1) basis in the third quarter of fiscal year 2010, ended Feb. 26, 2010, were $349.9 million. Gross profit and gross margin on a GAAP basis were $47.0 million and 13.4 percent, respectively. In accordance with two recently released accounting standards related to revenue recognition, these results include the effects of accounting for multiple-element arrangements, including ratable revenue recognition for the future deliverables for Palm(R) webOS(TM) products as required by GAAP. To facilitate comparisons to Palm's historical results, Palm has included non-GAAP adjusted measures, which exclude the impact of accounting for multiple-element arrangements, stock-based compensation and other items detailed in the notes section of this release. The company believes this information will help investors better evaluate its current period performance and trends in its business. Non-GAAP Adjusted Revenues in the third quarter totaled $366.0 million, and non-GAAP Adjusted Gross Profit was $63.5 million. Non-GAAP Adjusted Gross Margin was 17.3 percent and was impacted by a $45.3 million charge taken in the quarter for reserves for inventory purchase commitments, which exceed current forecasted demand. Excluding the impact of the inventory purchase commitment reserves, non-GAAP Adjusted Gross Margin in the third quarter would have been 29.7 percent. "Our recent underperformance has been very disappointing, but the potential for Palm remains strong," said Jon Rubinstein, Palm chairman and chief executive officer. "The work we're doing to improve sales is having an impact, we're making great progress on future products, and we're looking forward to upcoming launches with new carrier partners. Most importantly, we have built a unique and highly differentiated platform in webOS, which will provide us with a considerable - and growing - advantage as we move forward." The company shipped a total of 960,000 smartphone units during the quarter, representing a 23 percent increase from the second quarter of fiscal year 2010 and an almost 300 percent increase versus the third quarter of fiscal year 2009. Smartphone sell-through for the third quarter was 408,000 units, down 29 percent from the second quarter of fiscal year 2010 and down 15 percent year-over-year. On a GAAP basis, net loss attributable to common stockholders for the third quarter of fiscal year 2010 was $(22.0) million, or $(0.13) per diluted common share. This compares to a net loss attributable to common stockholders for the second quarter of fiscal year 2010 of $(13.7) million, or $(0.09) per diluted share, and to a net loss attributable to common stockholders for the third quarter of fiscal year 2009 of $(98.0) million, or $(0.89) per diluted common share. The company's net loss attributable to common stockholders on a GAAP basis reflects accounting guidance, effective in the first quarter of fiscal year 2010, which requires the anti-dilutive provisions of Palm's series C preferred shares and related warrants to be treated as derivatives for financial reporting purposes. The fair value of the derivatives was estimated as of the first day of fiscal year 2010 and is marked to market on a quarterly basis, with any change in value reflected in the company's financial results for the period. The series C derivatives balance was $82.1 million at the end of the third quarter of fiscal year 2010 compared to $178.7 million at the end of the second quarter of fiscal year 2010. This reduction in fair value resulted in a $96.6 million non-cash gain on series C derivatives and was reflected in the company's third quarter GAAP financial results. With regard to the series C derivatives, any future increases in Palm's stock price from period to period will be reflected as a non-cash loss on these derivatives in the company's financial results, and any future decreases will be reflected as a non-cash gain in the company's financial results. Non-GAAP Net Loss for the third quarter of fiscal year 2010 was $(102.8) million, or $(0.61) per diluted share. This compares to a non-GAAP Net Loss for the second quarter of fiscal year 2010 of $(45.5) million, or $(0.29) per diluted share, and to a non-GAAP Net Loss for the third quarter of fiscal year 2009 of $(94.7) million, or $(0.86) per diluted share. Earnings before interest, taxes, depreciation and amortization, or EBITDA, for the third quarter of fiscal year 2010 totaled $(5.7) million. EBITDA, adjusted to exclude the effect of ratable revenue recognition, stock-based compensation, net other income (expense), restructuring charges, a casualty recovery, a gain on the sale of auction rate securities and a gain on series C derivatives, or Adjusted EBITDA, totaled $(90.2) million. The company's cash, cash equivalents and short-term investments balance was $591.9 million at the end of the third quarter of fiscal year 2010. Cash used from operations for the third quarter of fiscal year 2010 was $(0.5) million. During the third quarter of fiscal year 2010, Palm elected to early adopt updates to revenue recognition standards issued in October 2009 and revise all prior financial information to include the adoption. Palm has included in this release selected quarterly financial schedules reflecting the impact of retrospective adoption of the new accounting standards and reconciling the application of old and new accounting standards to historical statements of operations, balance sheets, cash flows from operations, non-GAAP items, EBITDA and Adjusted EBITDA. These financial schedules will also be available at http://investor.palm.com. The updates to the method of revenue recognition result in a substantial portion of Palm webOS product revenues being recognized upon delivery. The remaining Palm webOS deferred revenues, which are related to future services and unspecified software, will be recorded as deferred revenues on the company's balance sheet, and amortized into earnings on a straight-line basis over the estimated product life, which is currently 24 months. Under the new standards, all related cost of revenues are recognized upon delivery. Under the previous accounting standards, Palm was required to account for sales of Palm webOS products using subscription accounting because Palm indicated it may periodically provide services and unspecified software free of charge to customers of Palm webOS products. Under subscription accounting, revenues and related direct product cost of revenues for Palm webOS products were deferred at the time of sale and recognized on a straight-line basis over the estimated product life. This resulted in the deferral of significant amounts of revenues and cost of revenues related to Palm webOS products. As of Nov. 30, 2009, the day prior to Palm's adoption of these updates, total deferred revenues were $550.8 million and total deferred cost of revenues were $332.7 million. Palm adopted these updates by retrospective application as if the updates had been applied in all prior periods. Consequently, the financial results of the fourth quarter of fiscal year 2009 through the second quarter of fiscal year 2010 have been revised. Palm believes retrospective application provides the most comparable and useful financial information for users of its financial statements, is more consistent with management's evaluation of the business and better reflects Palm's underlying economic performance.